While learning about weathering, do a little math! I did Exploratorium's Pattern of Cracks activity and kids had a blast with it! Take kids outdoors to hunt for cracks in the pavement, on a road or sidewalk, at the playground or the park. Bring a ruler and a protractor with you, as well as paper and a pencil. 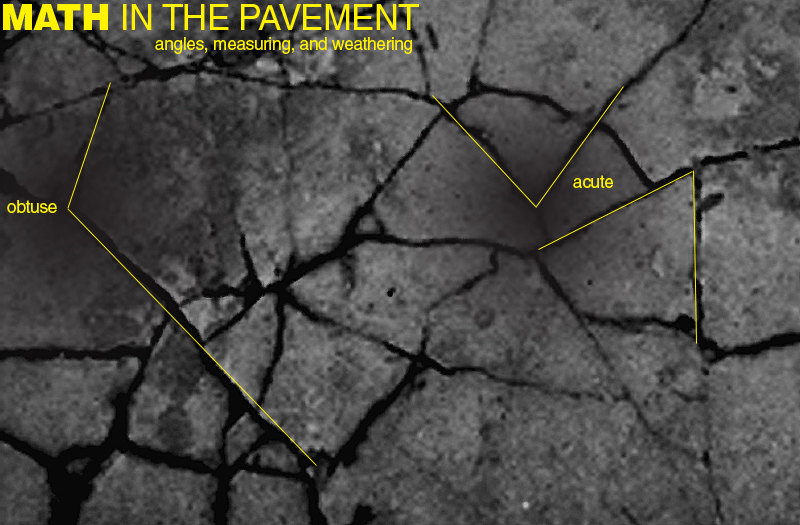 Identify angles, measure them, and look for crack patterns in the pavement. Talk about the weathering process and how stress has an impact on pavement due to expansion, contraction, and the embedding of objects into the pavement's surface. Check out Geometry Playground to see how to conduct the activity and for the science behind the weathering of pavement.